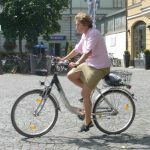 With that in mind, recently a ride was held around the central city aiming to join the dots on some of these issues. 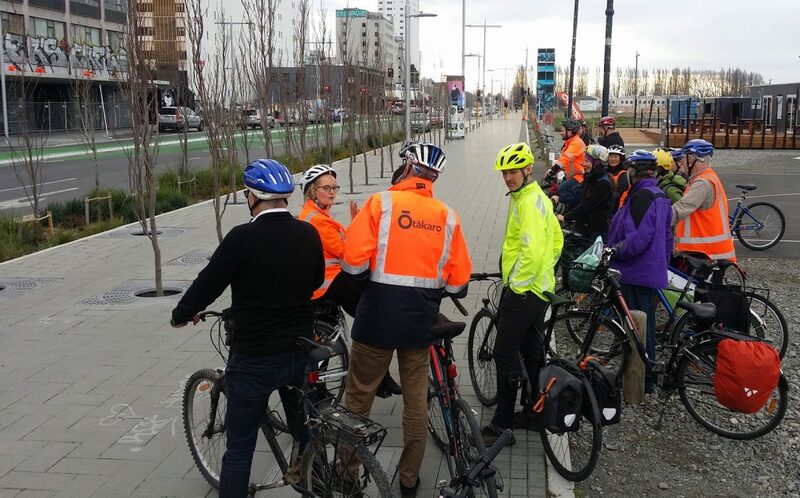 Staff from Christchurch City Council, Chch Transport Operations Centre (CTOC), contractor Downer and Ōtākaro Limited linked up with reps from Spokes and Canterbury DHB to take in a cycling tour of some of the current and recent street works happening around town. While the emphasis was on current construction and operational issues (e.g. around the Hospital Corner works), it was not surprising that some of the discussion also focused on the finished products. Some of them were easy fixes, e.g. some green paint would help make people aware of the new cycle path off-ramp at the Durham St bridge. Others may take a bit more thinking, e.g. 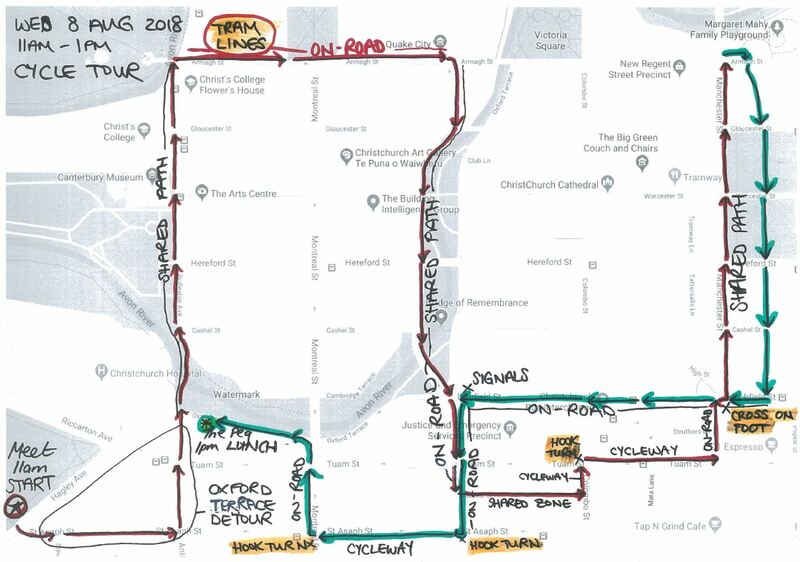 how to get from the on-road part of Manchester St in the south to the off-road path to the north. 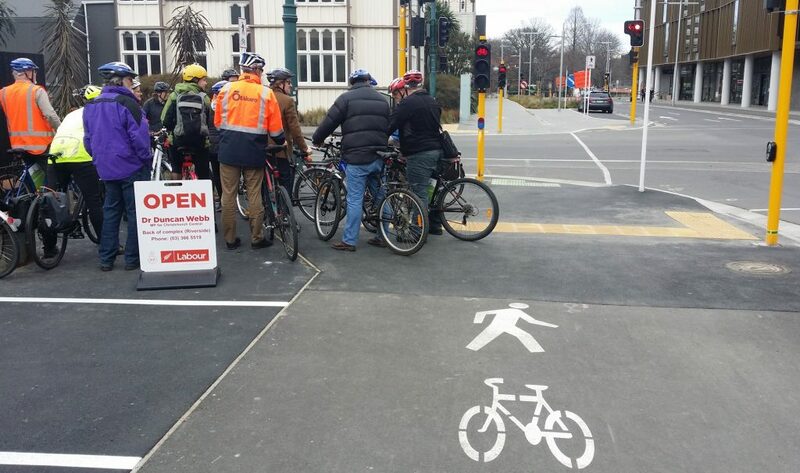 How DO you solve a problem like Manchester St? Afterwards the discussion continued on over lunch, and hopefully a few people have some useful thoughts to ponder and implement. If I had one gripe, it was that this type of exercise probably should have been held much earlier before many of the completed projects were planned and built. But thanks to CCC for organising a useful outing. What gripes do you have with current construction rebuilds around the city? 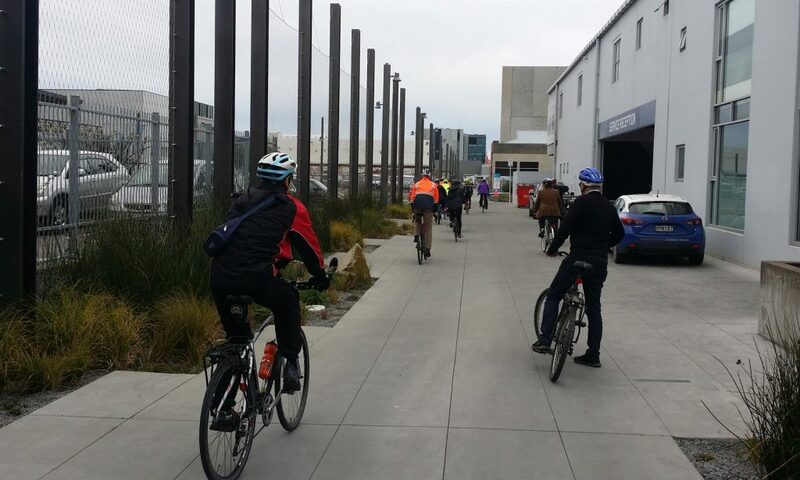 I ride several hundred km a month around Christchurch. My single biggest gripe would be the placement of road cones during road works – often set up in a way that forces me into the main traffic stream – where I have to decide to either “take the lane” or, sometimes, dodge to the wrong side of the cones. A little more thought is usually all that would be required. My overall impression is that those who place the cones are car centric. I agree with Steve. I find the portion of Antigua Street between Tuam Street and St Asaph Street (going South) always difficult to ride because of the hazardous placement of cones or temporary signs. 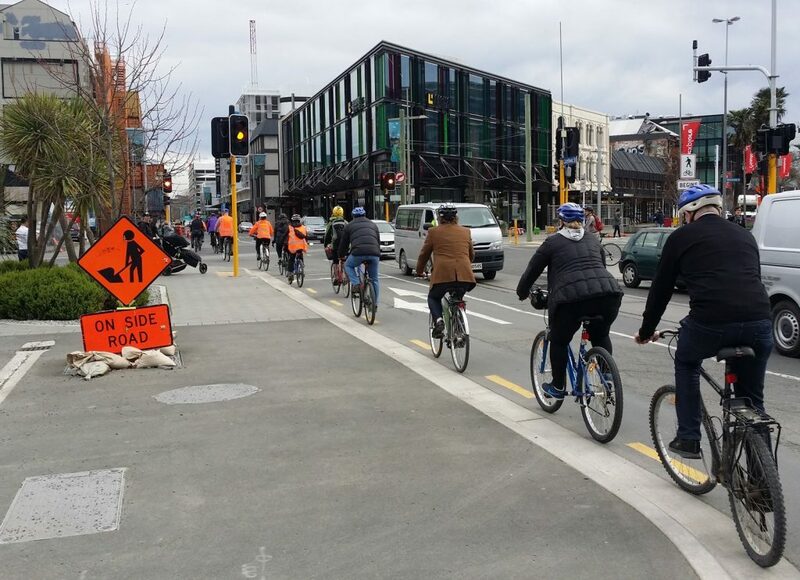 Also I am quite pissed at the work being done on the new cinema complex opposite the bus interchange on Colombo Street: they have been using the cycle lane for how long now? 2 years? I think I never got a chance to actually ride on it. 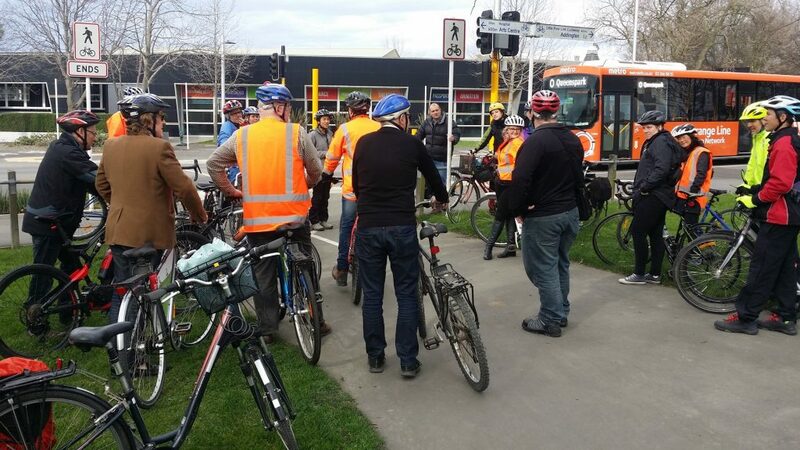 Maybe Selwyn Council should do the same…..The linked article refers to a shared cycle path from Rolleston to Lincoln.